Who doesn't want to shop while on vacation? Destin Florida Shopping is famous in the Florida Panhandle! The Florida Panhandle has types of shopping for all shopping lovers! There are many shopping options: Pensacola Florida Shopping, Panama City Shopping, Ft Walton Beach Shopping, and of course, Destin Florida Shopping, which is famous for its shopping centers, Destin Commons. Use our Directory to find all your shopping needs in Destin, Pensacola, Ft. Walton Beach, and Panama City. From Department Stores in Malls to the small Specialty Item shops, Florida Panhandle Vacations has all your needs for shopping in the Emerald Coast and the Florida Panhandle. 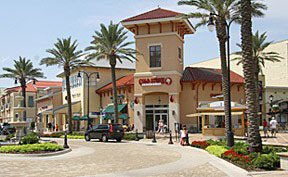 The Florida Panhandle has many shopping opportunities for any shopping enthusiast! From Mall Shopping to beach shops to antique shops, our database can help any shopper find what they are looking for!